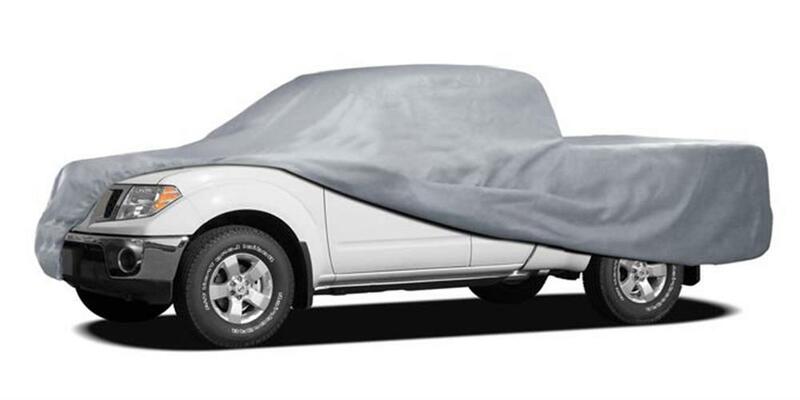 Protect your truck from any weather element with our premium 3-Layer Truck Cover Deluxe. 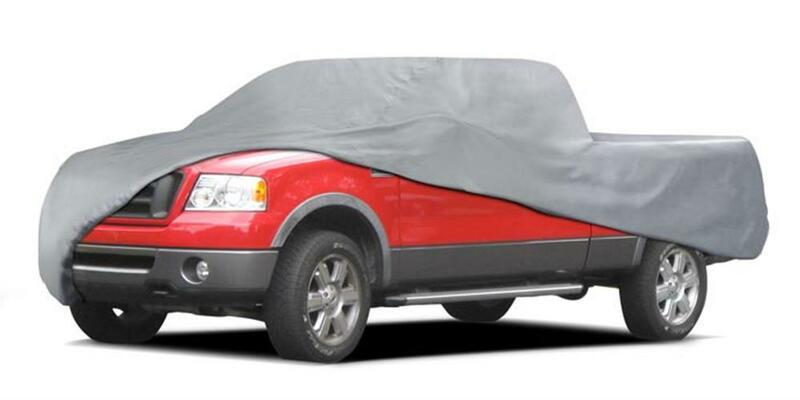 The proven design of this durable, ready-fit truck cover starts with a treated PEVA (polyethylene vinyl acetate) top layer followed by a breathable second layer and waterproof non-woven poly cotton material. 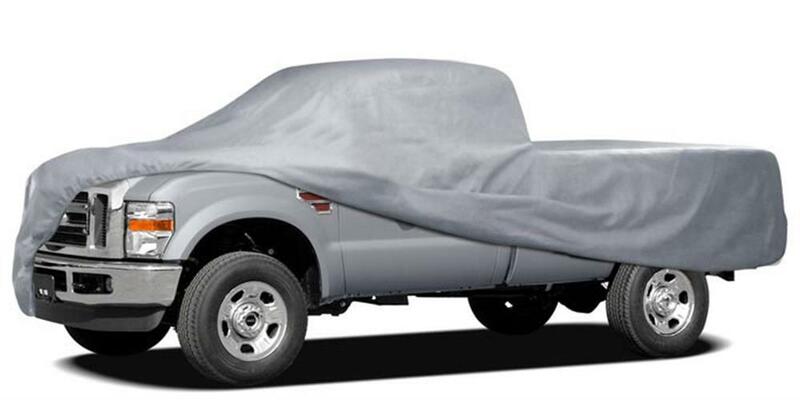 The extra-thick, soft material features a cotton inner layer that acts as a safe, gentle barrier to protect your truck's paint from nicks scratches. This unique, protective cover is water repellent and UV resistant, and the breathable material keeps wet weather out while releasing inside moisture and condensation. 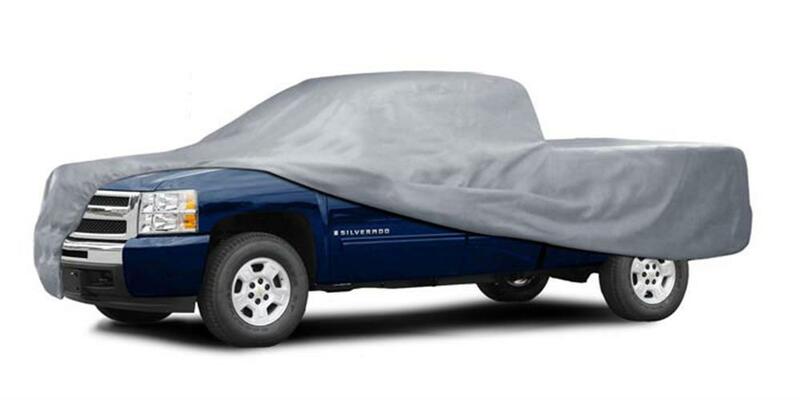 The Premium 3-Layer Truck Cover Deluxe comes with a handy storage bag, built-in plastic grommets, and elastic bottom hems with double-stitching for a snug fit. 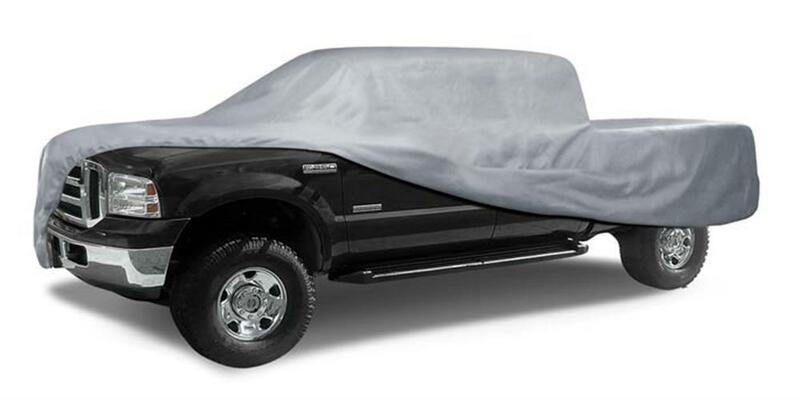 Available in seven sizes to fit most trucks. Backed by a 1-year warranty. 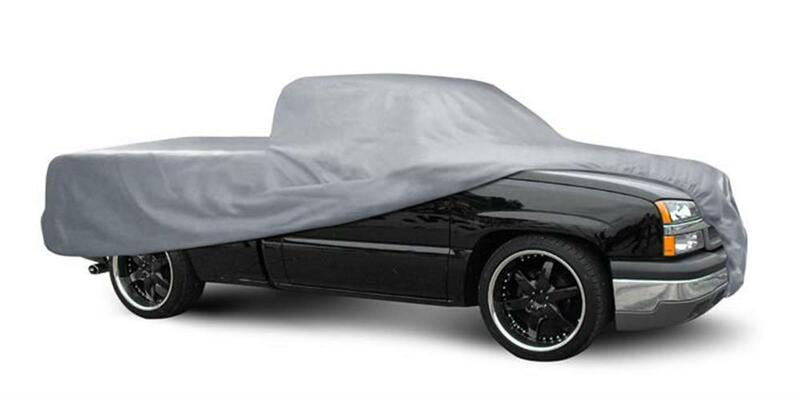 How to Clean & Care for your California Car Cover Universal Car Cover.